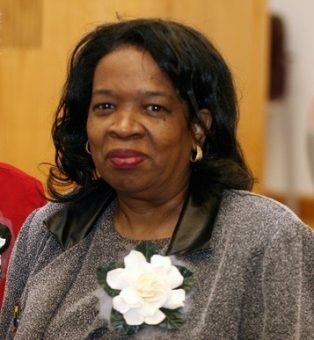 By dedicating her career to preserving Indiana’s African-American history, IU graduate Wilma Moore forged a legacy that will continue to benefit generations of researchers, amateur genealogists, and others seeking to learn more about themselves and their communities. Librarians should reflect the communities they serve. However with the well-documented lack of diversity within the library profession, this isn’t always possible. The new Wilma Gibbs Moore Graduate Endowed Scholarship will provide support to students from underrepresented backgrounds to attend the IU School of Informatics and Computing to pursue a degree in library and information science. By establishing the scholarship to memorialize her work, the Department of Library and Information Science is helping to continue the legacy of Moore, who graduated from Crispus Attucks High School and received her B.S. in sociology and her master’s in library science (M.L.S.) from Indiana University. “Mrs. Moore dedicated her life to building a more inclusive history and we would like to keep her legacy alive by building a more inclusive profession in her honor,” says Andrea Copeland, chair of the Department of Library and Information Science, who collaborated with Moore on archiving projects. By donating to the scholarship established in her honor, you become part of Wilma Moore’s legacy, documenting the history and preserving the heritage of Indiana’s diverse populations. Help us reach the funding levels necessary to establish a permanent endowment* in Wilma L. Moore’s name. Select “Wilma Gibbs Moore Graduate Endowed Scholarship” from the drop-down menu when making a contribution online. * Per Indiana University Foundation policy, new endowment accounts which do not become fully funded at the required stated minimum through pledges/gifts at the time of the establishment of the account and through fulfilled pledges/gifts after five years will be converted, and all gifts will be made available to support the intent outlined in the supporting agreement.